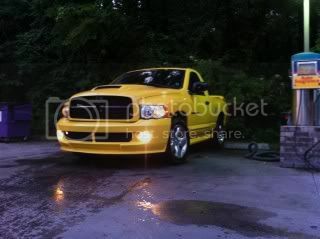 RumbleBee.org - The Dodge Ram Rumble Bee Owner Community :: View topic - havent posted for a while, update on truck! havent posted for a while, update on truck! 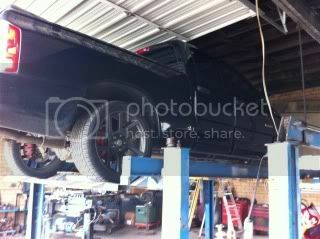 Posted: Tue Nov 15, 2011 10:34 am Post subject: havent posted for a while, update on truck! well, It has been a long time since i have posted on the site and i thought i would give everybody an update on the truck and what mods i have done to it in the last year since i have posted. i thought i would post in the division 5 section since i am one of the few members in this division and there hasnt been much action in the division for a while. I live in West Des Moines, Iowa and have actually seen about 3 or 4 different Bees around town but have never seen the owners in person or on the site at all. many of you probably dont know who i am or remember my truck but i have been hanging around checking in every now and then to see whats going on. I have added so many new mods since the last time i posted i cant even get them straight and i will just name the main ones. i have new wheels, they are black 20x8.5 Helo HE866 wheels on bridgestone dueler H/L alenzas tires. they had chrome inserts that i have since painted to match the truck. i normally would never have any part of my rims a color other than black or chrome but i think that the yellow is subtle enough that it looks clean and i really like the look. i have also added new headlights, L.E.D. tail lights with black housings, L.E.D. third with black housing, blue L.E.D. 's in the gauge cluster, and 3 digital gauges in a triple gauge pillar. Also i now have an Aero Turbine exhaust system that i have actually had a while but have since had the shop re-route the piping to the center of the back of the truck with dual 4 inch tips and the resonator removed and a magnaflow y-pipe welded in. i absolutely LOVE the exhaust sound!! also, i have added 2500k bulbs in the headlights, 2500k bulbs in the fogs, and also yellow off road lights behind the grille. i know some may not like the yellow lights and think its something a ricer would do but i love the look and dont plan on changing it. i have added a picture showing how well the lights light up the road. I also have added a drop kit and i love the stance and cornering abilities. 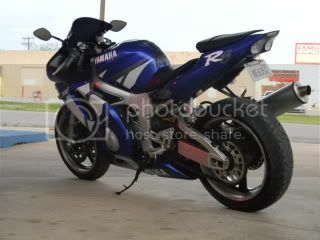 performance wise i have the exhaust, a superchips 3865, and i have just ordered a vararam intake. i have probably missed a lot of mods but i will think of them. here are some recent pics. the one that looks out of place and isnt nearly as modified is the truck about 2 years ago but still is pretty heavily modified. o and i have also added a pic of my 88' Formula Firebird that i had over the summer as a project car. it was a fun car while it lasted. i had to sell it because of college but it was still a fun car. i hope everyone likes the truck!! feel free to mention anything you would do to further modify the truck. the pic that says "my favorte pic" in the comment slot is the most updated picture of my bee and my personal favorite. Twin 76mm turbo 392c.i. Stroker hemi w/ built 727 torqueflite making 820 horse to the wheels. Best 1/8th: 7.07 @ 103 mph. love what you have done. I have been around since 2004 and you are right. almost no activity in this division. thanks for the compliments. And ya i have had my bee since early 2008 and kind of searched through the site a little but never joined. Then i joined in '09 and haven't really posted much while i have been a member. just thought i would share the progress on the bee. thanks for the compliments!! by the way melloyellow i really like the hood!! looks great! And dads toy, how do you like the 392? love the 392. its my replacement for my dream viper for now. needed 4 seats, so viper is on hold again. Love the rims man they look good , Your BEE has come a long way . bee is looking sharp. rumble on! ya i would do anything for a 392 challenger! or a viper! haha. and thanks everybody for the compliments and ya it has come a very long way. and way too much money put into it. 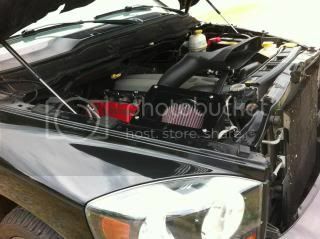 although i just keep thinking of new things to do to modify the truck. although isnt that true for everybody? haha. nice bee Man!!! love the rims!, and the painted grill! looks sharp - i too really like the wheels - just the right amount of black and yellow! Like the firebird too - my dad and I just sold an 88' trans-am GTA 5.7 TPI, worked motor, transy shift kit and ws6 hood to a guy in Louisiana who was a trans-am fanatic that had an actual replica "KIT" car from the movie Knight Rider lol! Go ManGo! #10341 "Taste of 1969"
did you paint your wheels or have a shop do them? they look great! thanks everyone for the compliments again!! and ya i loved my firebird but i couldnt have kept it very long. but a kit car would be crazy! i always loved watching knight rider just for the trans am. haha. Dads toy: the wheels came black with chrome inserts and i painted the inserts with yellow krylon fusion. i am surprised how well the rattle can job turned out. it is holding up very well. and thanks i think they look great too.